Alongside its new smartwatches and Smart Home hardware, Archos will also be unveiling two new Android smartphones at CES next week: The 50 Helium 4G and 45 Helium 4G. The two 4G handsets will run Android 4.3, with an upgrade to Android 4.4.2 guaranteed. Although Archos hasn’t stated it explicitly, we can deduce from the photos released today that both devices will be running the stock version of Google’s mobile OS. Both run on a 1.4 GHz, quad-core Qualcomm processor, in addition to an Adreno 305 GPU and 1GB of RAM. 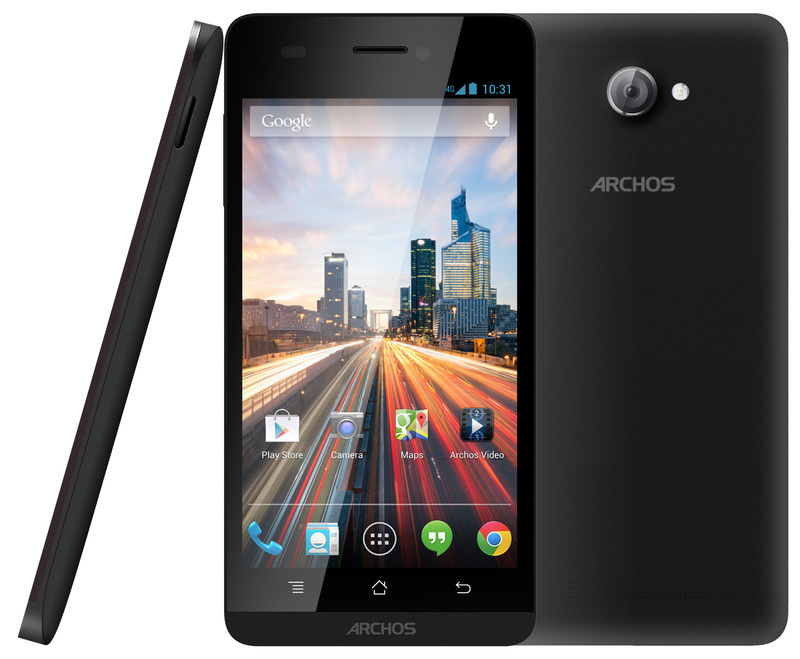 The Archos 45 Helium is the lower-end of the two and it’s here that they begin to divide; the 45 Helium is fitted with a 4.5-inch (854×480) display, while the 50 Helium offers a superior 5-inch (1280×720) touchscreen. The 45 Helium is also equipped with 4GB of internal storage, in comparison to the 8GB found in its sibling. Furthermore, the 50 Helium (£229.99 / €239.99) is equipped with an 8-megapixel rear-facing camera and a 2-megapixel version on the front. The 45 Helium (£189.99/€199.99) has a rather more lacklustre 4-megapixel rear-facing snapper and an unspecified VGA offering on the front. We haven’t been given a release date yet, but both handsets should be on display at Archos’ CES booth in Las Vegas on Monday.